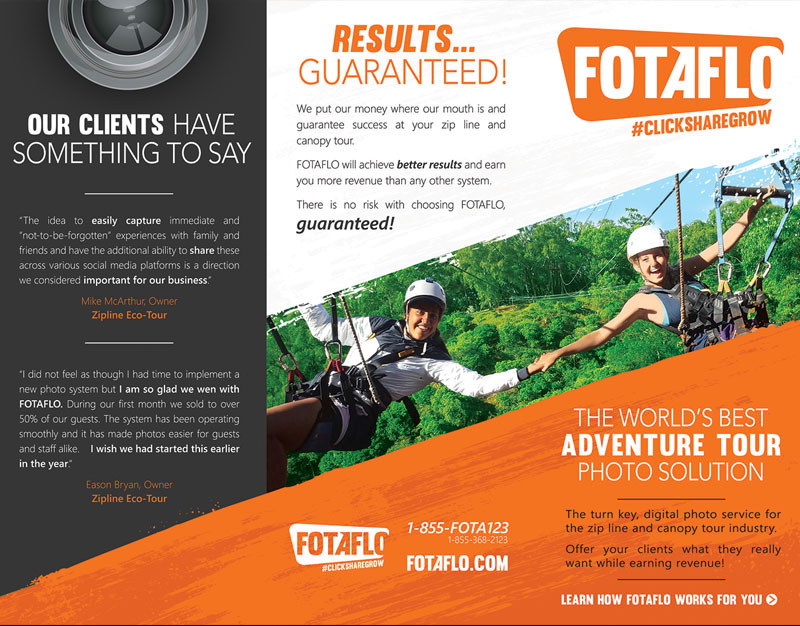 Fotaflo approached us ready for a completely new look to help propel their local and international growth. We first met with the business owner and it was very clear that we were a great fit. They were looking for creative ideas, marketing and design direction, and strategic marketing knowledge, and we met the requirements. 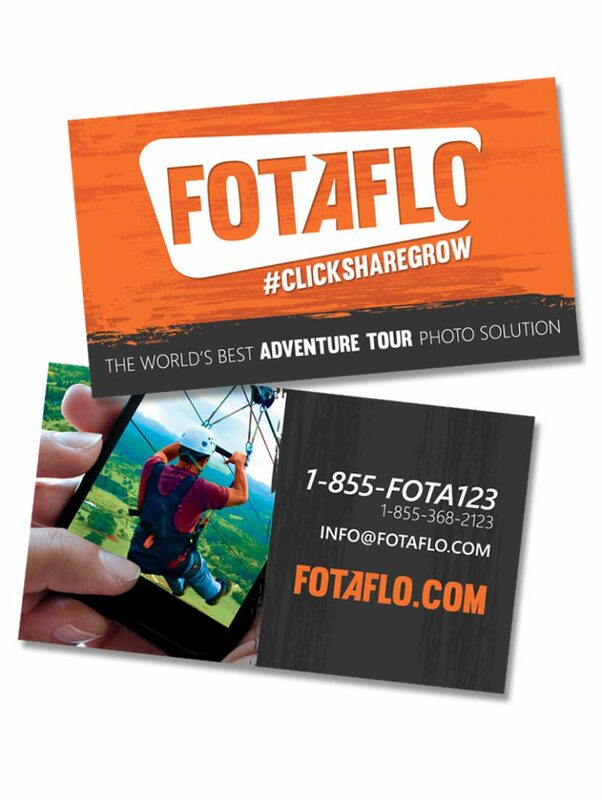 Fotaflo was only a few months away from attending their largest industry trade show of the year in Florida. We wanted to be fully ready to showcase the new brand at this event. The pressure was on! We delivered a brilliant re-brand for the company, launched a new website, designed a trade show booth, and provided all types of marketing collateral, signage, and sales tools to help the team make a huge impact at the trade show and kickstarting their growth afterwards. 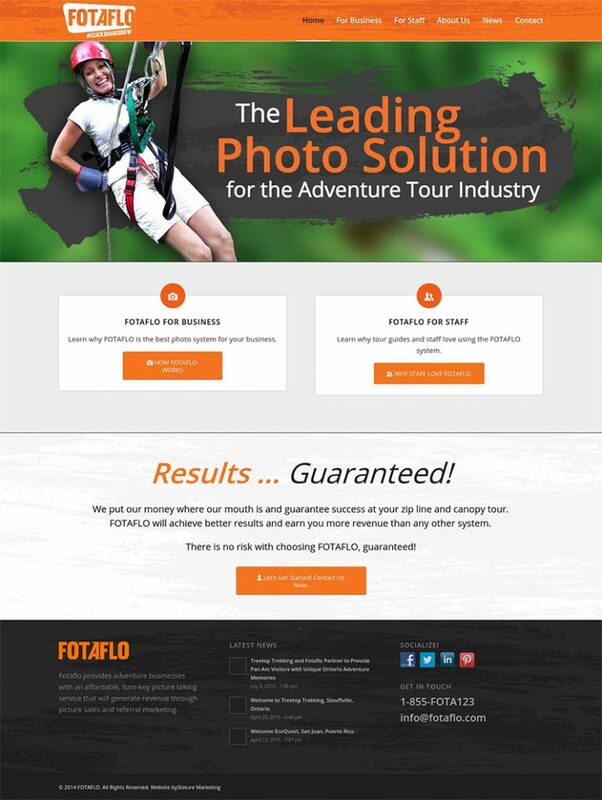 We built a fully branded custom Wordpress website for Fotaflo. Attention was focused on user experience and ensuring every aspect was responsive and mobile friendly. Website traffic and conversion was drastically improved upon launching. Our designers created a unique and memorable logo that is extremely flexible. Text only, full logo, light, dark ... no problemo. This logo works in all cases, just as we planned! Next was the business card and brand styling which carried through the entire corporate image and marketing materials. 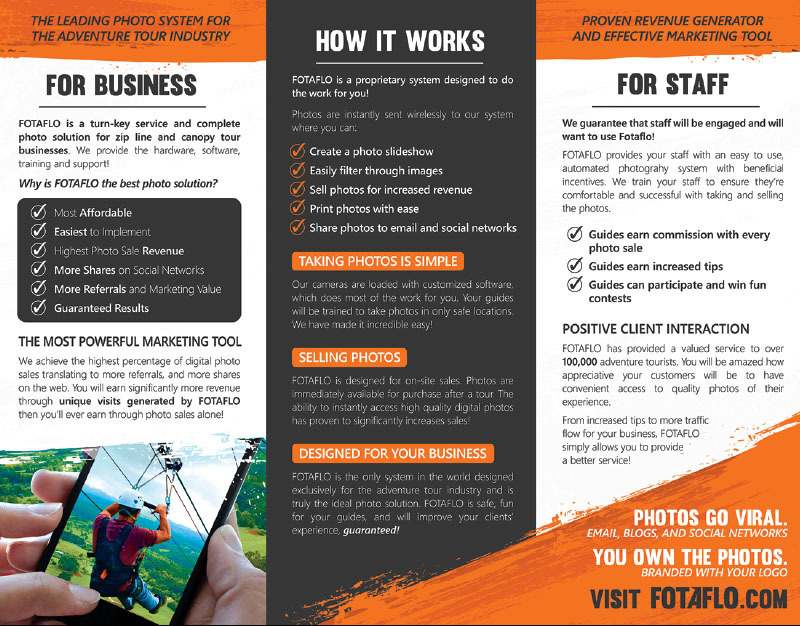 Professionally design sales materials makes a huge difference. This trifold brochure for example is packed with information, easy to read and understand and perfectly expresses the companies brand. The back side of the trifold brochure. You should notice that every panel is uniquely designed. This is no simple job, but a well strategized and planned piece of marketing art that does generate results.